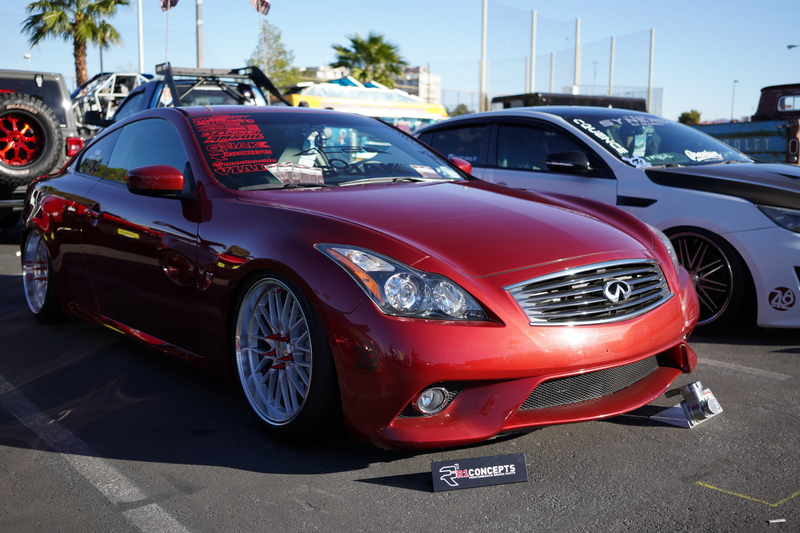 This entry was posted in New Products and tagged Featherlights, C5, Coilovers, pfadt, AFE Control, corvette, C6 on April 16, 2015 by Josh Biggers. 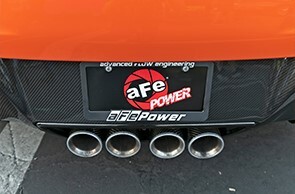 aFe Power is proud to introduce another addition to the aFe Control suspension line: SKF performance wheel bearing for the 1997-2008 Chevrolet Corvette C5/C6. 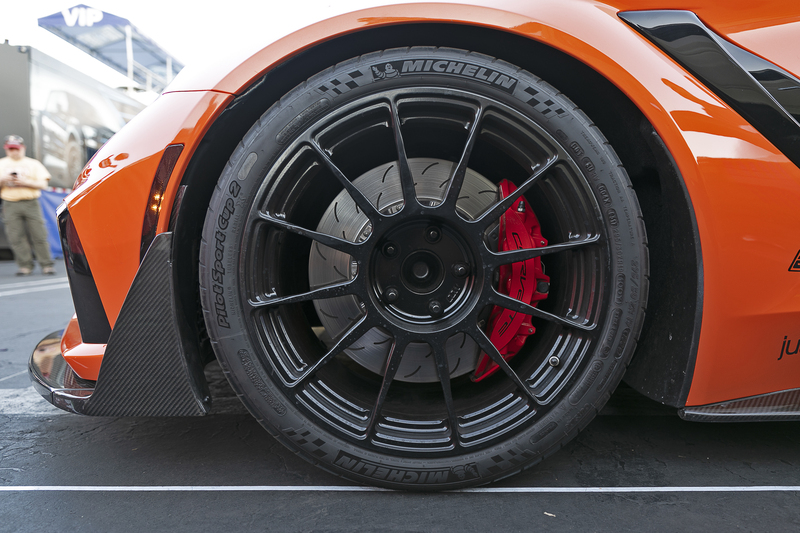 This SKF performance wheel bearing is designed to improve the performance, cornering and stability characteristics that race and super cars demand. The SKF X-Tracker is a performance-engineered hub unit consisting of a double row angular contact ball bearing arrangement in which the outboard row has a larger diameter and contains more balls than the inboard row. Designed as a direct fit installation, no modifications is necessary. Also available is an optional wheel bearing replacement bolt kit (P/N: 480-401002-A) sold separately. This entry was posted in New Products and tagged C5, pfadt, AFE Control, corvette, C6 on February 16, 2015 by Josh Biggers. 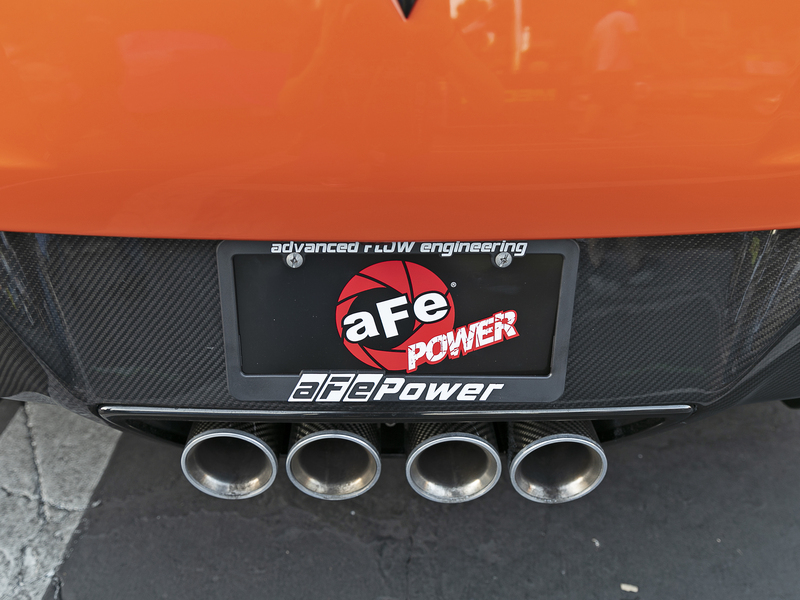 Following on the success of the 2014-2015 Corvette C7 Stingray intake system by aFe POWER, requests immediately came in for a Z06 version as these amazing cars were hitting garages. 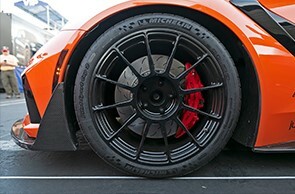 aFe polled the CorvetteForum.com for a local Z06 to get to work, and we have had one in the shop and we got to work. 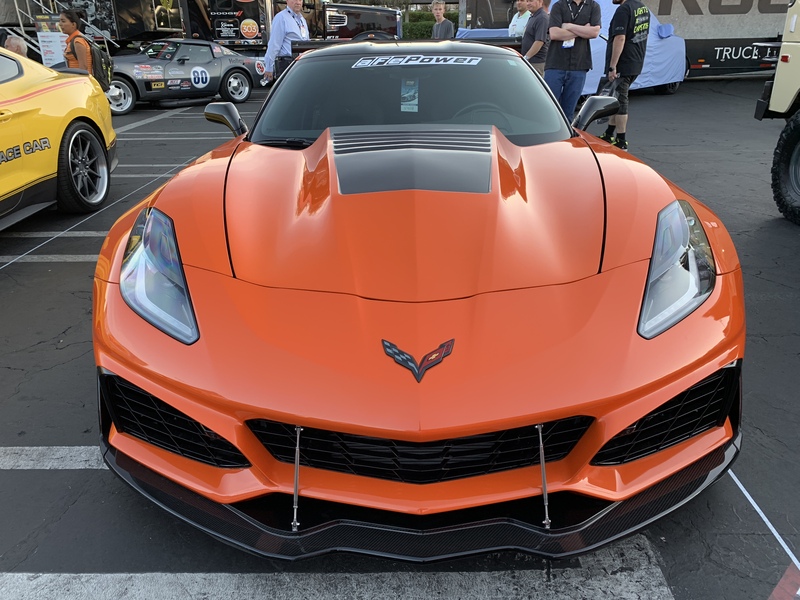 The Z06 requirements are slightly different from the C7 Stingray kit, and the sizing of the aFe air filter will keep up with the Supercharged 6.2L delivering 650hp and beyond. 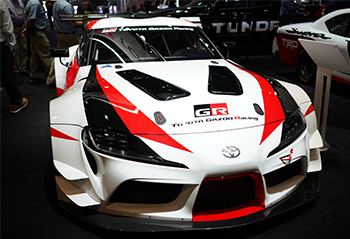 Look for more information coming soon, as full testing with the 3D printed intake tube is in progress now. 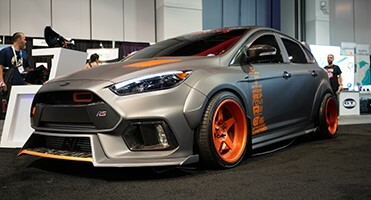 What a beautiful car.. 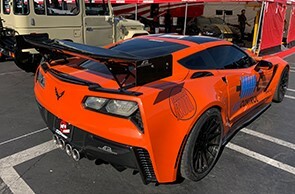 This entry was posted in aFe News, New Products and tagged z06, c7, corvette, Intake on February 2, 2015 by Josh Biggers. 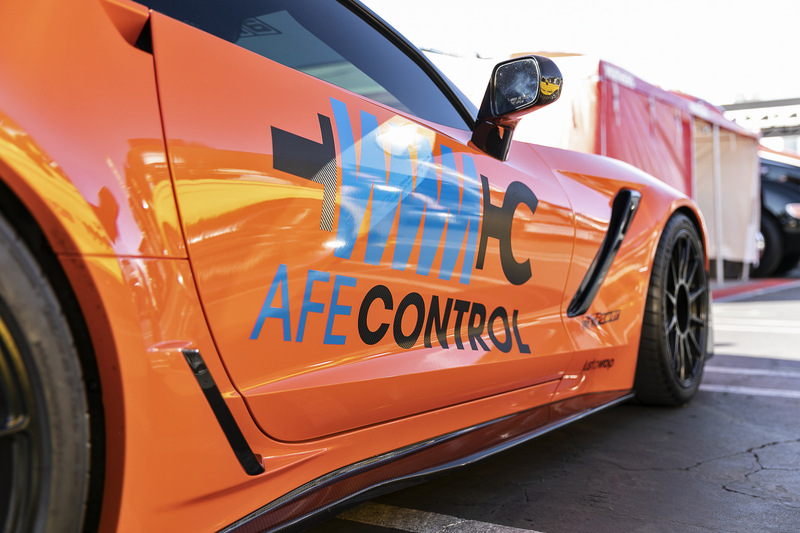 aFe Power is proud to introduce another addition to the aFe Control suspension line: Featherlight Single Adjustable Coilovers for the 2014-2015 Chevrolet Corvette C7. Designed as a complete solution, the Featherlight Coilovers will allow you to remove the transverse leaf springs and OE shocks on your Corvette, yielding a true independent suspension which eliminates the “crosstalk” and harsh ride that the OEM suspension is known for. 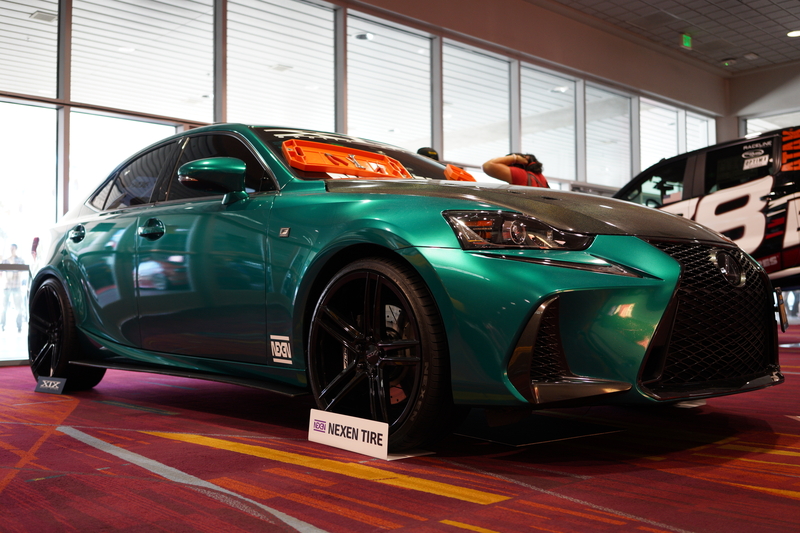 Packed with features, the coilovers are precision CNC machined from 6061-T6 Aluminum, and hard anodized. The mono-tube construction utilizes a floating piston to separate the oil, and nitrogen gas, allowing for predictable handling, and a consistent feel. The CIRC (Concentric Integrated Remote Canister) System more than triples the gas volume over a standard coilover resulting in consistent operation over a wide temperature range and throughout the stroke. Integrated into the CIRC head, is the BOA (Ball on Axis) upper mount, which is a completely sealed design allowing full articulation of the Corvettes suspension, and offers a durable, quiet mounting solution without travel loss as is common in other clevis style mounting systems. You will feel 24 distinct settings on the front and rear shocks, allowing for settings to accommodate comfortable street, all the way up to track settings. Elevate your driving experience with the comfort, precision, and excitement of aFe Control PFADT Series Featherlight Adjustable Coilovers. 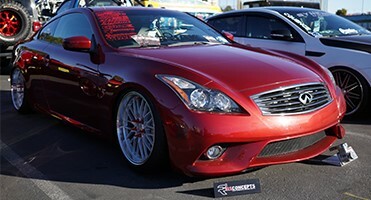 This entry was posted in New Products and tagged Featherlight, Coilovers, pfadt, AFE Control, c7, corvette, aFe Power on February 2, 2015 by Josh Biggers. 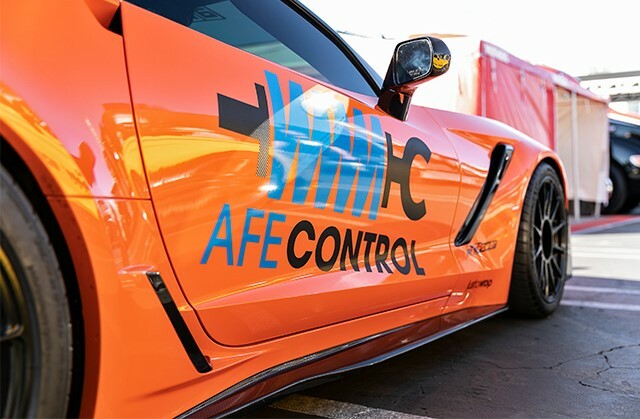 aFe Power is proud to introduce another addition to the aFe Control suspension line: Sway Bars and Lowering Kit for 2014-2015 Chevrolet Corvette C7. 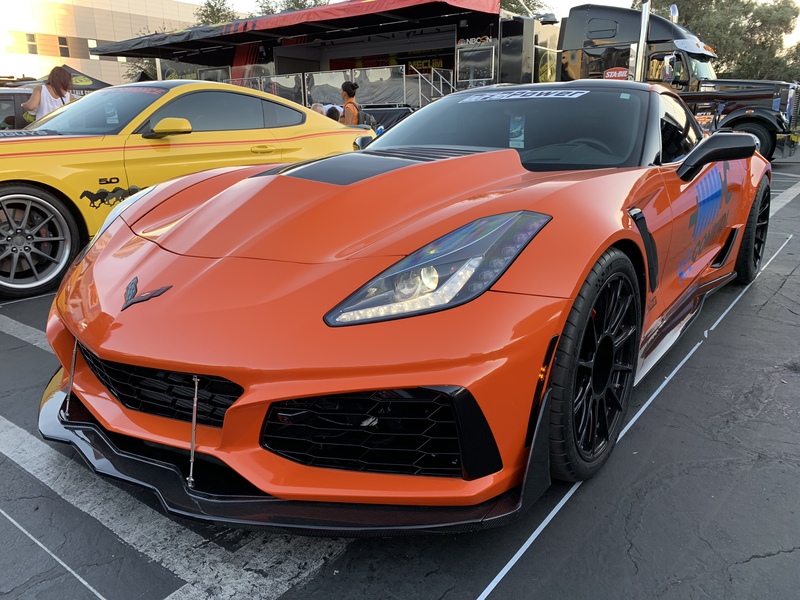 Available individually or as a package, these sway bars and lowering kit are a direct bolt-on solution for your Corvette C7, built to the exact specifications needed for a perfect balance between performance and a smooth ride. The sway bar set is made of CNC bent 4130 chromoly steel and features a 35mm 2-way adjustable front, and 31.75mm 3-way adjustable rear. These sway bars use a 2 stage, high luster tangerine orange powder-coating to provide years of great looks. Also Included are polyurethane bushings and CNC machined 6061-T6 rear brackets for a perfect fit. The lowering kit is made of CNC machined stainless steel studs with wrench flats, mated to an articulating foot and a nylon foot pad. This design offers years of corrosion resistance and smooth suspension articulation and quiet operation. Designed as a direct fit installation, no modifications are necessary. All O.E. mounting points have been retained for durability and a hassle-free installation. This entry was posted in New Products and tagged lowering kit, Swaybars, pfadt, AFE Control, c7, corvette, aFe Power on February 2, 2015 by Josh Biggers. 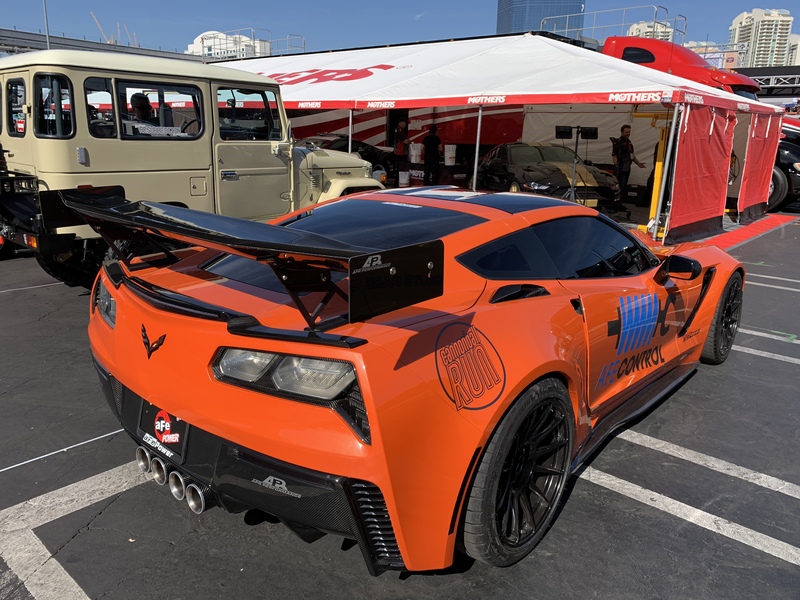 This entry was posted in New Products and tagged shock upgrade for C7 corvette, johnny o'connel, pfadt, AFE Control, c7, corvette on February 2, 2015 by Josh Biggers. 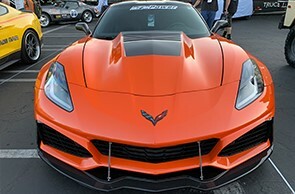 The editors at Corvette Online recently installed an aFe POWER Momentum Cold Air Intake System onto a stock 2014 Chevrolet Corvette Stingray and documented both the install and dyno testing and put us to the test to see what this AIS can bring to the table. Needless to say they were more than pleased with the results. Click below to read the full article! 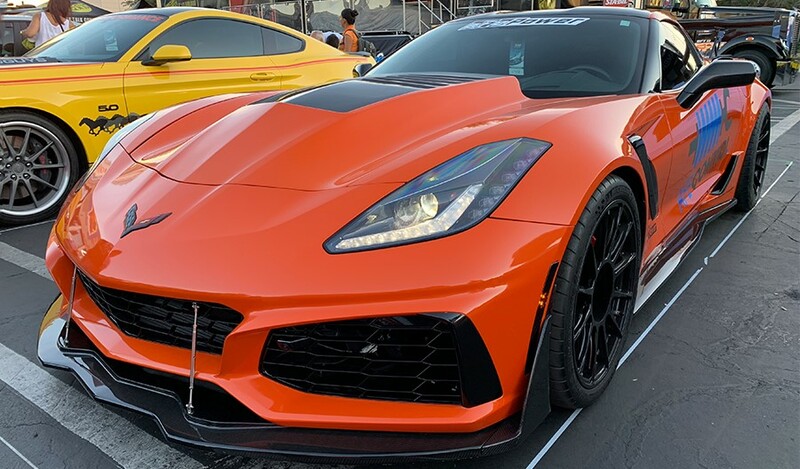 This entry was posted in aFe News, New Products and tagged c7, corvette, momentum, Intake on January 7, 2015 by Josh Biggers.